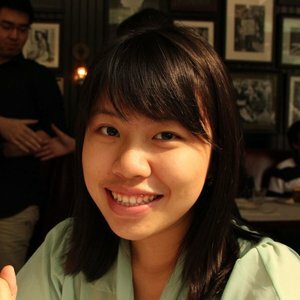 Clara is a multimedia designer with fun and cheerful personality who has keen in doing problem solving. Currently she is studying at The One Academy, Malaysia. She is an open minded person that willing to try and learn something new in her design process. As a designer she is daring to be different in order to stay innovative. Her works mostly inspired by the things that she experienced in her life. She believes that if she meets a problem, it's just another challenge that await to be solved. She looks for opportunities in every chance of her life.